Join us for one day, two days, three days, or ALL FOUR! CHAPTER MEMBERS ENJOY A DISCOUNT! The Annual Maine HR Convention has become the talk of the HR nation. Join your HR peers from across Maine in May at the beautiful Samoset Resort. May 7-10, 2019. The Convention consistently offers the best keynoters from around the country, creates imaginative, participatory workshops, awards a boatload of re-certification credits, and generates an atmosphere where HR careers and Maine workplaces thrive. This doesn’t happen by accident. Rather, it’s the result of a great collaboration between your host Strategic HR U.S. and Maine’s SHRM State Council and the eight affiliated HR chapters. Add the energy of 900+ participants, a boat-load of recertification credits, and a showcase of sponsors and vendors, and you have a very good reason to join us at the 2019 Maine HR Convention. ATTEND ONE DAY, TWO DAYS, THREE DAYS OR ALL FOUR! Chapter members enjoy a special discounted rate! 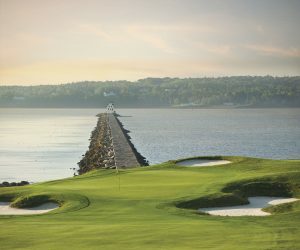 Visit www.MaineHRConvention.com to view the 2019 Attendee rates and plan your time with us at the Samoset. Chapter members enjoy a special discounted rate! For more information visit www.MaineHRConvention.com. Not receiving convention news? Join the convention e-updates by emailing Info@StrategicHRus.com .